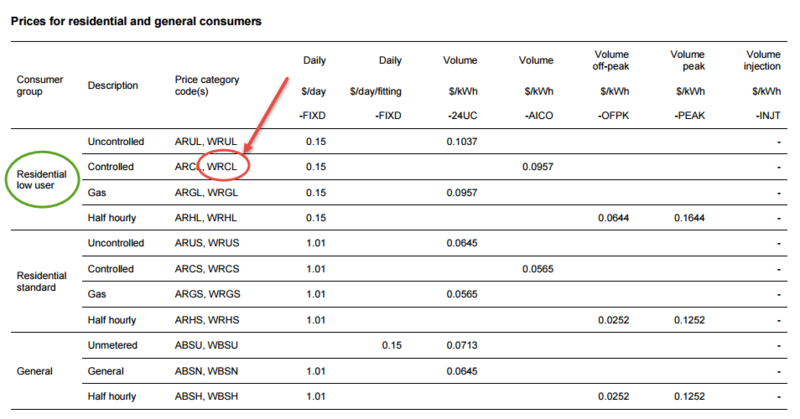 What Is My Electricity Pricing Plan? 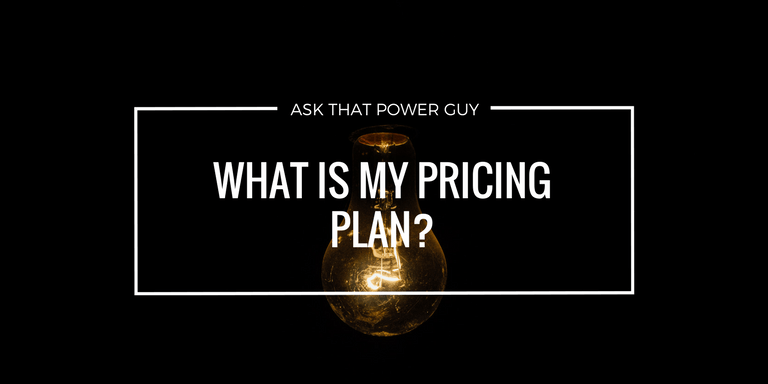 Previously I have written about the importance of knowing your electricity pricing plan in the context of being a Low User or Standard User residence. Getting the plan right can save you money. Getting it wrong can cost you. It’s as simple as that. Here’s how to find your pricing plan without going through your power retailer. As I detailed in an earlier post, the Electricity Authority has a really useful page which allows you to look up the details on your individual power connection. You can search by address, or I recommend searching by your individual ICP number. The ICP number is a 15 character code unique to your power connection. You can find it on your power bill. Type in your ICP number or address and hit Submit. As an example, I have (again) looked up my local BP Station in Takapuna. You can see how the Electricity Authority page does a lookup from the Electricity Registry. Near the top of the information will be a section called Network. 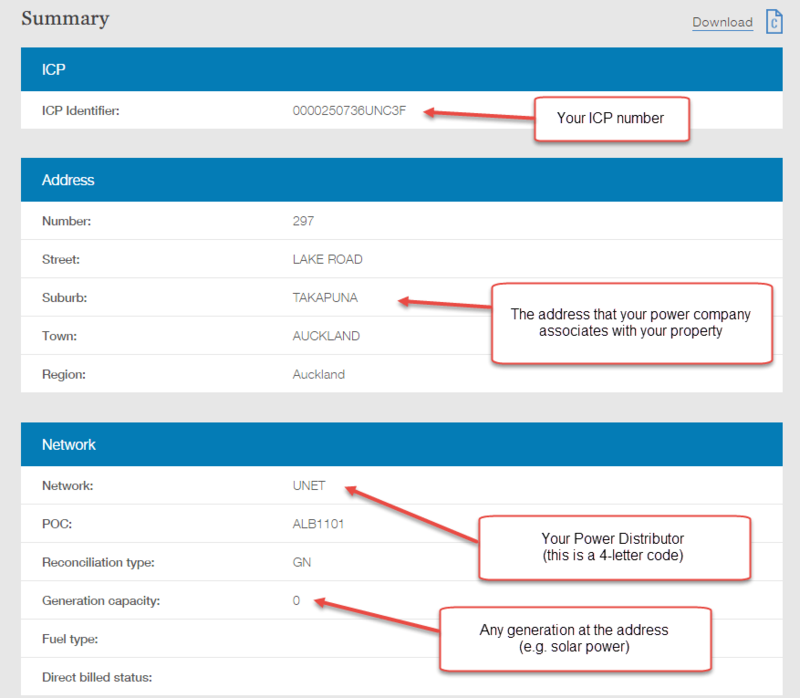 This is the information about your local power distributor or network company. Your distributor owns, operates and maintains the electricity network in your area. They take power from the national power transmission grid and transport this through poles, wires and cable to each individual property. There will only be one power distributor in your area and chances are that unless you experience a fault on your property or there is a power cut, you will likely never need to deal with them. 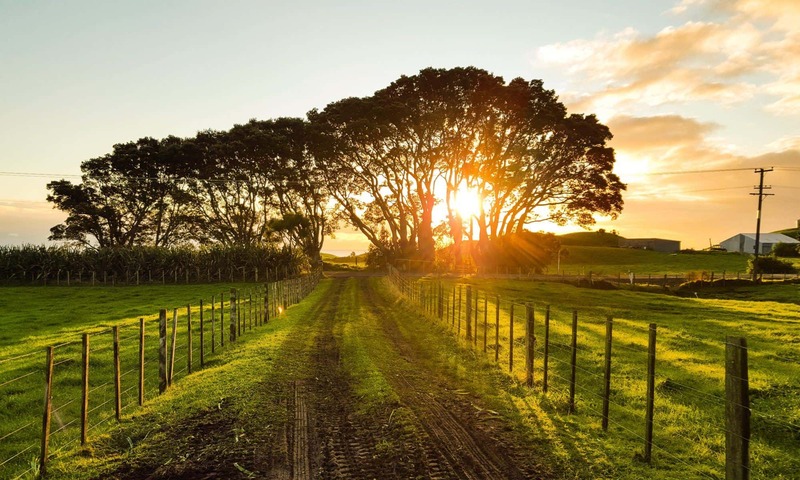 You may be familiar with some power distributors, such as Powerco (Taranaki, Manawatu and Wairarapa), Wellington Electricity, Vector (Auckland), Electricity Ashburton etc. Further down the page, there is another section called Network Pricing. This contains the information that details how your property is connected to the electricity grid, and what pricing should apply. If you’re a homeowner, you will typically have residential pricing codes. If you are a business, you will have commercial pricing codes. Large industrial customers often have another set of codes, suited to large power users. To demonstrate, I have looked up our home in Takapuna. In this instance, the pricing code is WRCL for our family home. Now we know our pricing code, we need to look this up with the distribution company. Our distibution company is Vector in Auckland, so I searched for “Vector Pricing” on Google which led me to their pricing page. Then I opened up their pricing schedule and searched for my home pricing code which we found to be WRCL. You can see on the picture below I found it, and my pricing plan is officially “Residential Low User – Controlled”. This works equally well for businesses. My neighbourhood BP station was in Vector pricing category WBSH. Looking up the vector table – this aligns to “General – Half hourly”. Simple. Should I Be A Residential Low User or Standard User? To answer this question, please refer to my earlier post on the importance of understanding Low User vs Standard User power pricing. It’s directly related to how much power you think you will use each year. 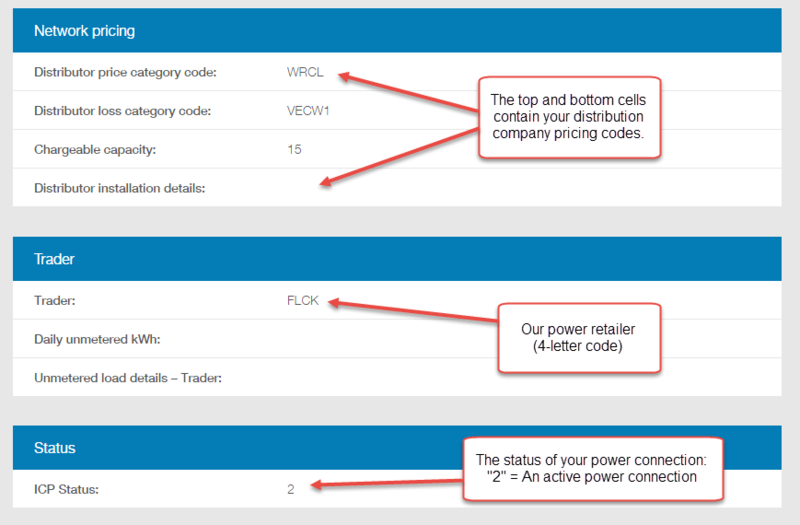 Previous PostPrevious How Do I Find My Power Retailer?